Alton - Time to head to Liberty Bank Amphitheater's annual food truck event featuring food trucks from around the region. These mobile kitchens offer global street food cuisine at a fun and friendly kid friendly atmosphere. In addition, the amphitheater’s concession team will offer beverages of all types to compliment the food trucks. Live music will be showcased on the amphitheater stage with Marquise Knox as the Food Truck Festival’s headliner. Knox is a Blues prodigy and native St. Louisan. Marquise embodies the soul and essence of a veteran bluesman, with his command of guitar and harmonica combining with his energetic showmanship. He has performed with B.B. King, Henry Townsend, Louisiana Red, Robert Lockwood Jr., and Honeyboy Edwards to name a few. Other entertainment to be announced. 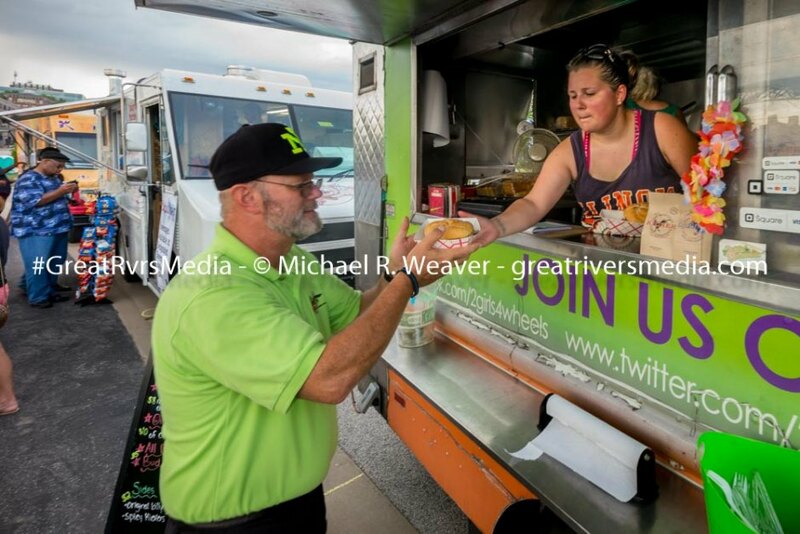 The Alton Food Truck Festival is FREE to the general public. Each food truck will have a different food offering with a range of prices. A special VIP ticket can be purchased for an upgraded experience that includes parking close to the venue and complimentary drink tickets.